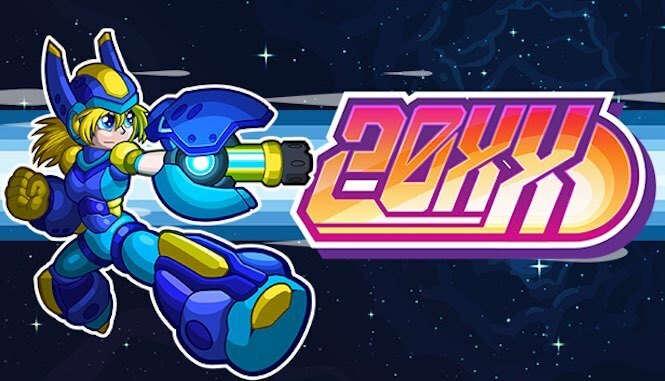 20XX is a roguelike action-platformer from Batterystaple Games. 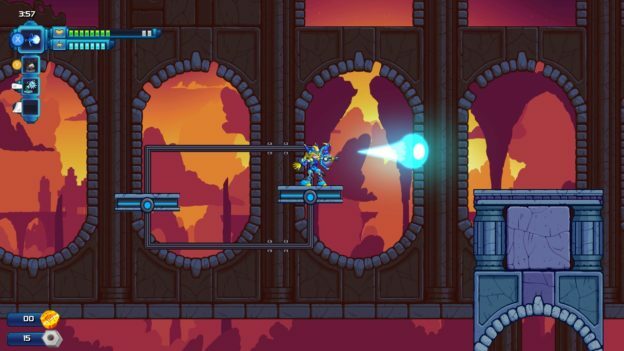 Its indie roots are a love letter of sorts to Mega Man X, from which it draws its inspiration. The question is, does it stand up on its own? The Mega Man comparison becomes obvious the moment you begin. You play the role of Nina or Ace, two armoured humans battling through the aftermath of a robot uprising. The game involves shooting your way through levels while avoiding spikes, flames, and various other platforming perils. The twist with 20XX is that each level is randomly generated, creating a unique experience each time you play. There are four basic themes you’ll rotate through: ice, sky, flame and jungle. The randomization can provide a fresh experience on repeat plays. The downside is that if you die, you can’t go back and retry to conquer that impossible level. That might not bother everyone, but it’s something to keep in mind if you prefer rehearsing speedruns, for example. The other downside is that you’ll soon start to notice familiar patterns in each layout, as sections are reused from time to time. The levels always work well, but in the end there are only so many combinations possible. Each stage ends with a boss fight. These battles and fun and well-balanced, with some very creative enemies, ranging from gigantic skulls to fast, sword-wielding robots. They’re also randomized, so you’ll take on one of eight bosses each time. As you play, you earn Soul Chips from your fallen foes. These can be exchanged for upgrades to your armour, such as weapons, health, speed and jump ability. It’s a good thing, too, since 20XX has permadeath – once your health bar is depleted, you’ll have to restart the game. In this way, the difficulty setting is a little on the high side, though it didn’t become frustrating. Instead, it kinda egged me on, since I’d make my way through a handful of stages before dying, tempting me to try again and get further this time. This is helped by the fact that stages are fairly short and sweet. In fact, most levels are under 5 minutes in length, making it perfect for on-the-go gaming. There are hidden areas to explore, if you have the time and inclination, providing a little more to do. These areas provide bonuses to help power you up even more. There’s a great co-op mode, which gives the option of playing with a friend locally or over the interwebs. Playing with a friend helps balance the difficulty a little, since there are two of you working together to take down the robots. The gameplay is just as slick whether you’re playing with someone sitting next to you on the couch, or across the globe. Despite the quick gameplay, one slight downside to 20XX is the loading times, which can take up to 30 seconds between levels. Visually, the game is suitably retro, giving an industrial vibe that further demonstrates the Mega Man influence. The foreground isn’t particularly inspiring, with the usual platforming tropes, however the backgrounds are well designed and occasionally caught my eye. The audio matches this old-school aesthetic, with a pulsing beat that fits neatly in the background. There’s nothing overly memorable or catchy here, though, and the game is equally enjoyable with the sound turned down. 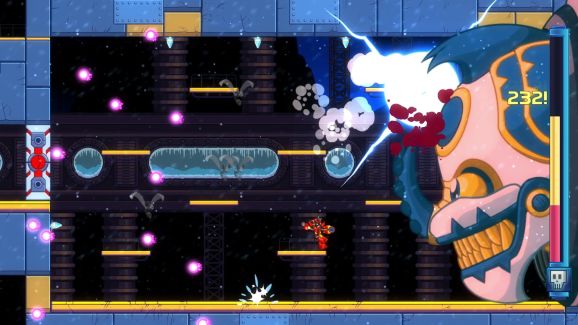 Overall, 20XX is an action game that harkens back to the glory days of retro platforming. It adds its own feel with procedurally generated levels – though even these become slightly repetitive after awhile – with interesting bosses and a great co-op mode. Mega Man fans, in particular, may find enjoyment here. 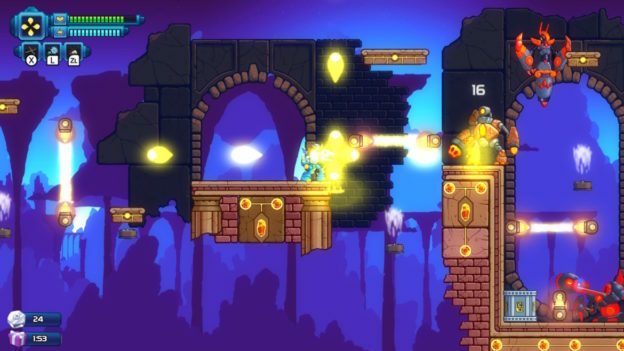 20XX is an action game that harkens back to the glory days of retro platforming. Its strong Mega Man influence is countered by its own flavor of procedurally generated levels, keeping things fresh at first, though there is some repetition after awhile. With interesting bosses and a great co-op mode, platforming fans should find something to enjoy here.